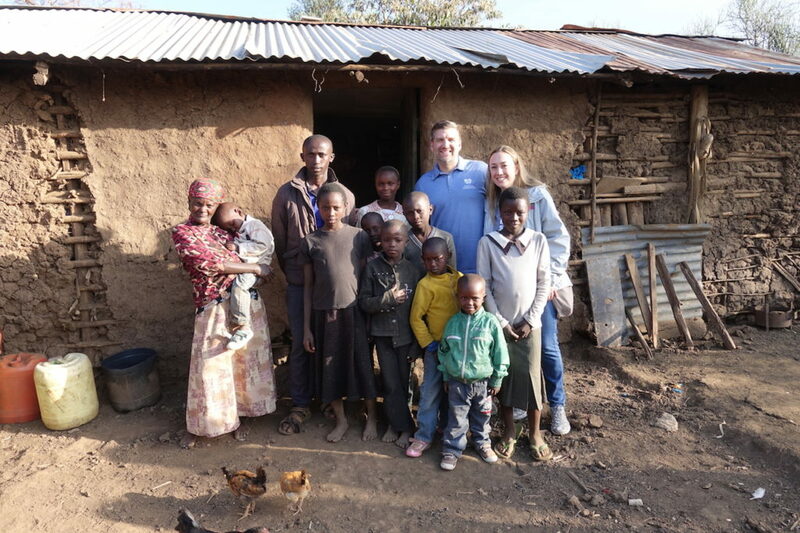 We recently returned from our second visit to Kenya. As a ministry we are in awe of how the Lord led us here, and grateful for the chance to serve in such a beautiful place with people and ministries that reflect His heart so clearly. 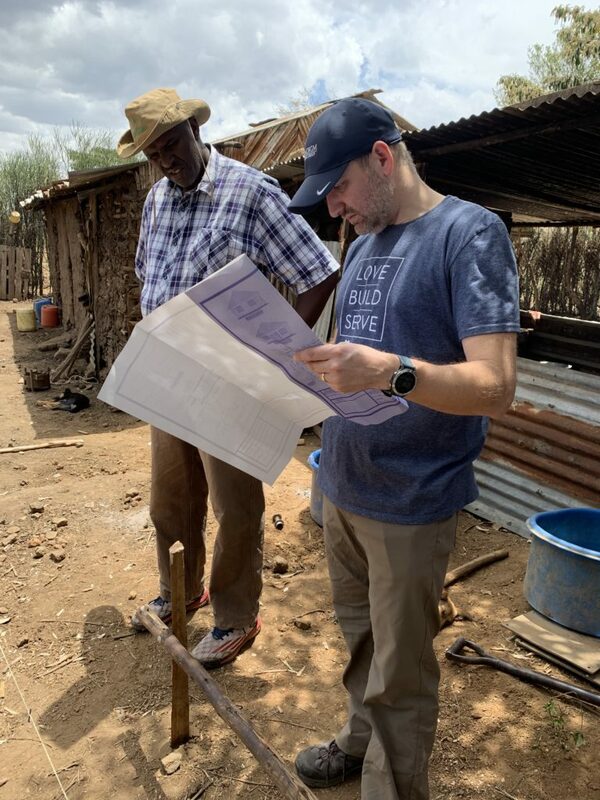 Prior to departure we fully expected God to do a mighty work during our relatively short time in country, but we were overwhelmed by His constant intentionality, encouragement and presence while in Eburru. When the Lord led us to start Paradigm Foundation we understood that the Gospel was enough but could easily be eclipsed by meeting tangible, material needs. It was important for us that we chose a ministry verse that pointed our hearts and reason for serving, back to God. Our verse is Hebrews 3:4 which states, “For every house is built by someone, but God is the builder of everything.” We share that scripture each time a new home is started and sometimes even include it in the concrete foundation as a testimony to future generations. 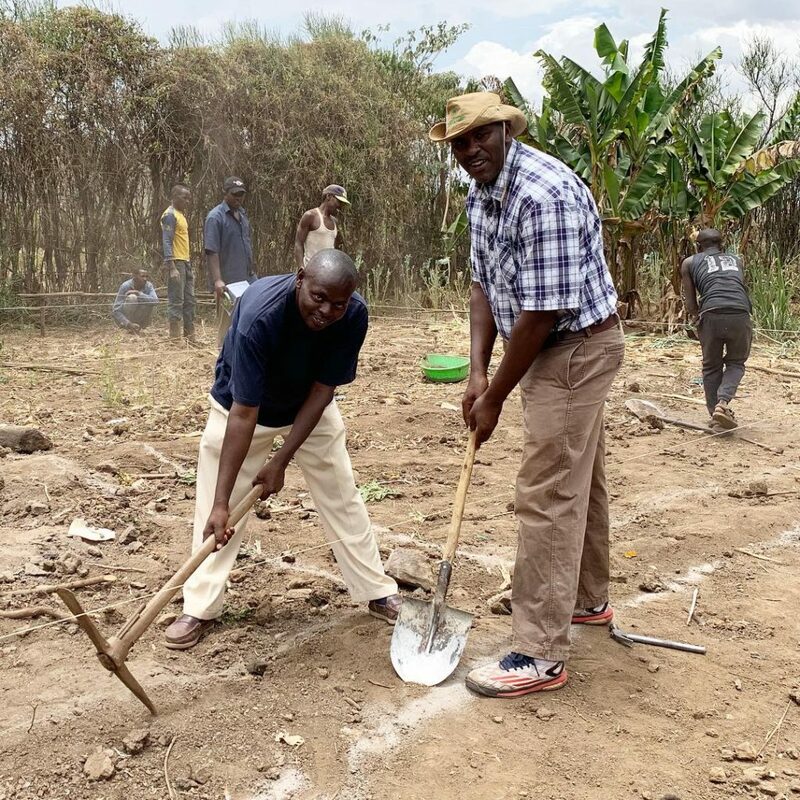 After sharing a video on social media the first afternoon of the build and Pastor Steve commissioning the home to the Lord, it was brought to our attention by a friend back home that we had just broke ground for the first hope home on March 4 or 3/4 (reflecting our ministry verse). Our God is not a God of coincidence and oh, so very good! Mama Jane (Nancy) the elderly woman who will live in the home with the 12 orphans she is caring for shared with us, “I have never seen God with my eyes, but I have now seen him with my heart.” Amen! That is a direct answer to prayer and our hope for each home we complete. This ministry is about so much more than building a home but being a conduit of hope and a tangible example of God’s love for the lost and forgotten. She also shared that she is sleeping better knowing that the Lord is providing for them and her anxiety and depression has subsided. It is our prayer that Mama Jane and the kids in the home continue to seek the Lord and ultimately surrender their hearts to Him. Given the young ages of the kids, we hope that this encounter with God imprints on their hearts and that the legacy of this family will be forever changed through His ultimate gift of Jesus, and the provision of this home. We also are praying that the home itself is a beacon of hope to others in the community, that those who pass by see it are encouraged and understand that they are known and loved by God. We are grateful to have met and spent time with Christian, a faithful brother in the faith. It was such an encouragement to hear his heart and passion for the community and direct calling he has had from the Lord to serve the families who will receive a home. We are sure that God will use his faithfulness and along with Pastor Steve and Mary’s heart to continue to do a mighty work in Kenya. May the glory of God continue to be lifted high and proclaimed in Eburru! We anticipate our return and are excited to see how He will continue to use Camp Brethren and these homes to expand the Kingdom. May we all remain strong in prayer and faithfulness to this beautiful mountaintop community where the Lord has called us to “fulfill his good purpose” (Philippians 2:13).